Home Chase Citi ThankYou Premier vs. Chase Sapphire Preferred: Better Card? I’ve previously used the Chase Sapphire Preferred card as my “keeper” fee card for travel and dining. [The ThankYou Premier] looks like it duplicates much of what the CSP does and adds some more category bonus possibilities. In general, which people should hang on to the CSP and which should drop that one and stick with this one instead? I don’t have to make a decision until April. DaveS asked this question a while ago. Since then, some details about the cards in question have changed, so I am updating the answer (8/13/17) to reflect the current offers. Then I’ll circle back to DaveS’s question and answer what types of people should keep one or the other. I’ll foreshadow a little bit by saying that although many of the benefits of the Citi ThankYou Premier Card and Chase Sapphire Preferred are similar, there are subtle differences in the programs that could make a huge difference to you, so the better card depends heavily on your travel habits and preferences. The Chase Sapphire Preferred earns Ultimate Rewards, which we value at 2 cents each. The Citi ThankYou Premier Card earns ThankYou Points, which we value at 1.9 cents each. Ultimate Rewards can be transferred to seven airlines and four hotels. Ultimate Rewards’ hotel transfer partners include Hyatt, Marriott, IHG, and Ritz Carlton. Ultimate Rewards have never offered a transfer bonus. ThankYou Points have offered transfer bonuses to Virgin Atlantic, Virgin America, and Etihad miles. Ultimate Rewards do have one far better use than ThankYou Points though–buying plane tickets with points. You can use Ultimate Rewards earned by the Sapphire Preferred toward any flight booked through the Ultimate Rewards travel portal at a rate of 1.25 cents per point in value. You can use ThankYou Points earned on the Premier toward any flight booked through the ThankYou Points travel portal at a rate of 1.25 cents per point in value. For example, a $200 plane ticket flying Alaska Airlines (or any airline) would cost 16,000 Ultimate Rewards or 16,000 ThankYou Points. So far, they’re even here, but if you also open a Sapphire Reserve Card with another 50,000 bonus Ultimate Rewards after $4,000 in purchases made with your card in the first three months, you transfer the Ultimate Rewards earned by your Sapphire Preferred into your Sapphire Reserve account and redeem them for 1.5 cents toward flights booked through the Ultimate Rewards travel portal. Because I mainly like to transfer my points to airline miles and Ultimate Rewards have more good partners, I value Ultimate Rewards at 2.0 cents and ThankYou Points at 1.9 cents. Your values should be different. When you apply for a Sapphire Preferred, add an authorized user for 5,000 free points. The authorized user doesn’t get a credit check, doesn’t get disqualified from opening his own Sapphire Preferred later with a bonus, and doesn’t receive the card. You do, so you can cut it up if you want. Multiply the sign up bonus by your value of the points to figure out how much each sign up bonus is worth. To me, 50,000 ThankYou Points are worth $950. To me, 55,000 Ultimate Rewards are worth $1,100. 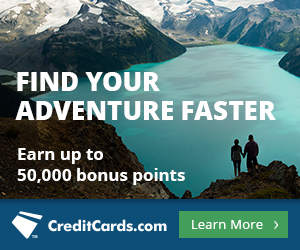 The Citi ThankYou Premier Card has a spending requirement of $3,000, so that $950 worth of points represents a 23.75% rebate on the minimum spending requirement. The Chase Sapphire Preferred has the same $4,000 minimum spending requirement but for a higher return of $1,100, so the rebate percentage is 27.5%. For big spenders, the value of the sign up bonus matters more. For small spenders, the rebate percentage matters more. Let’s say you spend $6,000 per year on dining out, $1,000 per year on entertainment, $6,000 per year on travel, and $1,000 per year on gas. That would be 35,000 ThankYou Points or 26,000 Ultimate Rewards. I value those ThankYou Points at $665 and those Ultimate Rewards at $520, so the Citi ThankYou Premier Card would offer someone who spends these amounts an extra $145 worth of rewards per year. 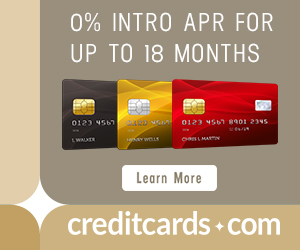 Both cards waive the annual fee for the first 12 months, then charge $95 per year, so that’s a wash. Which Card is Better for New Applicants? Which card is better depends on two things that only you know. Hopefully I’ve laid out how to think about each card’s benefits, but the actual thinking is left to you. Your valuation of ThankYou Points and Ultimate Rewards. Increase your ThankYou Points valuation if you want to fly to Hawaii, Europe, or South America. Increase your Ultimate Rewards valuation if you plan to fly paid flights and also open a Sapphire Reserve; go to Asia, Europe in Business Class, Africa, Australia, or have high value uses for Avios. How much you’ll spend in bonus categories. Multiply your valuation of ThankYou Points times (50,000 + how many points you’ll earn on the card in a year) and your valuation of Ultimate Rewards times (55,000 + how many points you’ll earn on the card in a year). Get the card that offers you more value. Or get both if both offer a very high value. If you are brand new to the miles game and see yourself diving in (i.e. opening multiple credits in the near future), then you’ll also want to consider the opportunity cost of opening a ThankYou Premier instead of a Sapphire Preferred. Once you’ve opened almost any five credit cards from any bank, Chase will deny you for the majority of their credit cards. People call this the Chase 5/24 rule. So if you see yourself wanting to open more than five cards in the next two years, you’ll probably want to start with some combo of these five Chase cards before moving on to cards from other banks. Which Card is Better for DaveS to Keep? The sign up bonuses are irrelevant to DaveS because he is deciding which card to keep. He needs to focus on the value of his ongoing spending on each card and his valuation of the two types of points. If he spends a lot on gas, entertainment, and travel, that suggests keeping the Citi ThankYou Premier Card for its higher category bonuses. If he can use all of the ThankYou Premier’s points on high value Singapore, Flying Blue, or Etihad redemptions, that suggests keeping it. But if he doesn’t spend a lot on gas, entertainment, and travel and he needs United, British Airways, or Korean miles a lot more than he needs the types of miles you get access to via ThankYou Points, that suggests keeping the Chase Sapphire Preferred. Does Citi Thankyou offer a shopping portal to earn additional points? Also, if one were to transfer Thankyou points to Flying Blue account, can the miles be used to redeem in First Class on Air France? well, theoretically if you have the HIGHEST status with Air France then yes… but my guess is since you even had to ask the question, then no, you can’t redeem for Air France F. it makes me sad. That’s another reason I got the Citi P card u can transfer the 90K (Have) to Singapore AL then book there and fly UAL to where ever. I’ve been a INKer for years was a double so if I need more or top off points takes like 2 mins to do ..I never booked sing but think they will b my best way to SYD 10/18 (Bus class) but could do 10/17 lots of seats and good weather I think ..